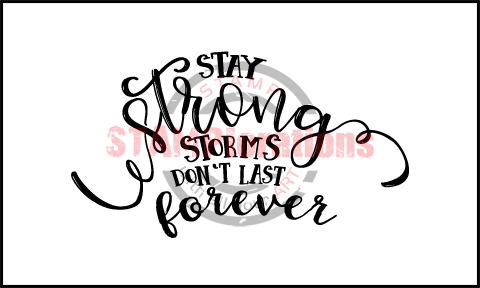 ONE (1) package of STRONG clear stamp in our Say It Big Series of sentiment stamps. There is 1 piece of clear stamp in the package. This stamp is in a 3x5 backing sheet packaged in a 3x5 resealable hang hole cello bag. For your reference, the stamp is approx. 3.5" wide and 1.9" tall. STAMPlorations(tm) clear stamps are made from the finest photopolymer resin and they're naturally sticky. They're environmentally friendly too because biodegradable materials were used in the manufacture of these stamps. With proper use and care, you can expect our clear stamps to last as long as rubber stamps -- years! To use the stamp, peel it off the backing sheet and stick to an acrylic block (not included in this listing). Ideal for use with any type of ink for stamping -- dye inks, pigment inks, chalk inks, etc. Great for use in cardmaking, scrapbooking, altered art, mixed media, and other papercrafting projects.